Malta is on the threshold of becoming a strong digital gaming hub. 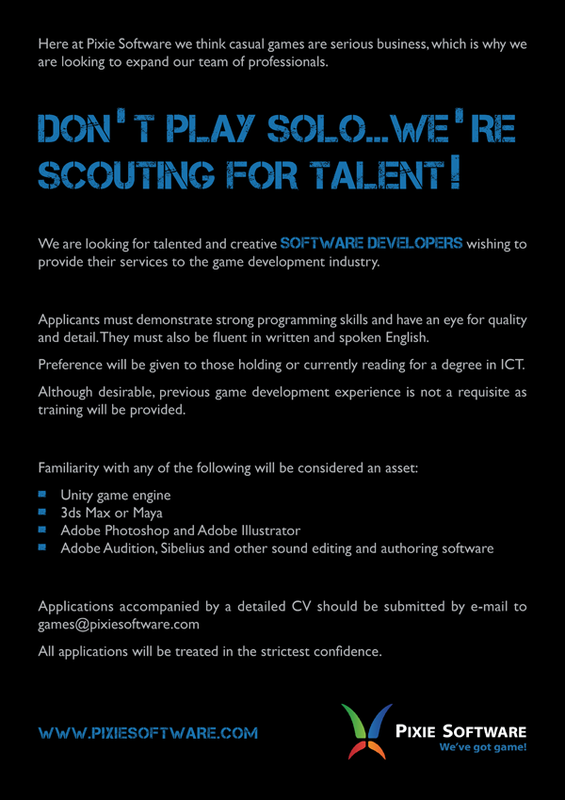 If you're a software developer with a passion for digital games let us know because we would like to meet you. 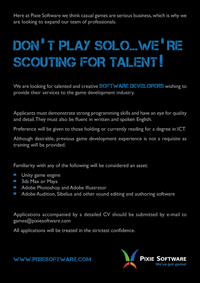 We have just launched a brand new recruitment drive and are looking for parties interested in lending their software development services to the gaming industry. 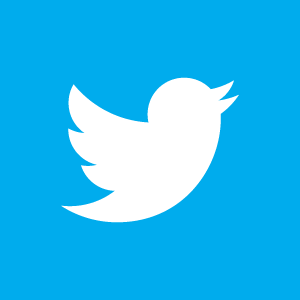 We will be providing relevant training in the various aspects of game development, so prior experience in this industry is not a requisite.